For the roughest, toughest jobs, choose these Wrangler Men's Loden 3W060 LD Riggs Ripstop Ranger Pants. They're durable, tough, convenient, and stylish. These neutral dark green work pants are designed with 10-ounce 100% cotton Ripstop that's super durable. Co ... (see full details) (see specifications) #WRG3W060LD. For the roughest, toughest jobs, choose these Wrangler Men's Loden 3W060 LD Riggs Ripstop Ranger Pants. They're durable, tough, convenient, and stylish. And that's the just beginning when it comes to tough. These sturdy pants are constructed with triple-needle stitching, a tough #5 YKK brass zipper, and reinforced knees with dirt-drop vents. These pants are made to work and built for the job. Even the belt loops are sturdy, measuring a beefed-up 3/4 inch x 2 1/4 inches. When it comes to comfort, the Room2Move® fit with an action gusset and an improved fit in the seat, thigh, knee, and bottom opening gives you plenty of room to move and maneuver while you work. Plenty of pocket room makes these Ranger work pants even more work-friendly, starting with durable 7.25-ounce white pocketing fabric. There's an oversized watch pocket to hold small items and 13-inch front pockets with a leather tape-measure reinforcement on the right pocket to add strength. The rear pockets are reinforced at stress points and lined with durable 1000-Denier Cordura® fabric, tough and abrasion resistant. Side cargo pockets have flaps and concealed snaps to help you safely carry all those things you like to keep handy, saving trips to the toolbox and making life a little bit easier. For tough construction, roomy comfort, and convenience choose these Wrangler Riggs Men's Loden 3W060 LD Ripstop Ranger Pants. You'll like them so much, they'll be your casual favorites too. Buy yours today at Working Person's Store and you'll see what we mean. 33 out of 36 people found this product review helpful. If you are not familiar with rip stop material, let me tell you it's great. If you poke a hole in the pants, it does not spread into a bigger hole. There is a woven grid that just stops the tear. When you are out and about like we are, it's nice to have work pants that last. I have bought two pairs of these in October of 2010. I have worn them while welding during most of the days since then. I am only replacing them now, mid-September 2011, because I have lost fifty pounds and need smaller ones. My original two pairs still look new! These pants are really tough and comfortable. The pockets are reinforced at all the stress points. Comfortable, wear 'em hiking and working. Look great, wash great. 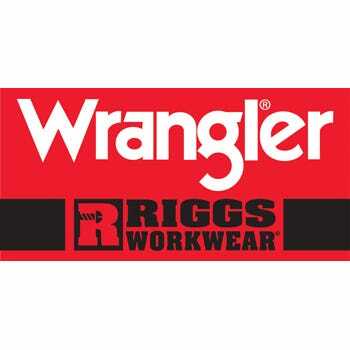 Wrangler Riggs Pants: Men's Loden 3W060 LD Ripstop Ranger Pants is being added to your cart.